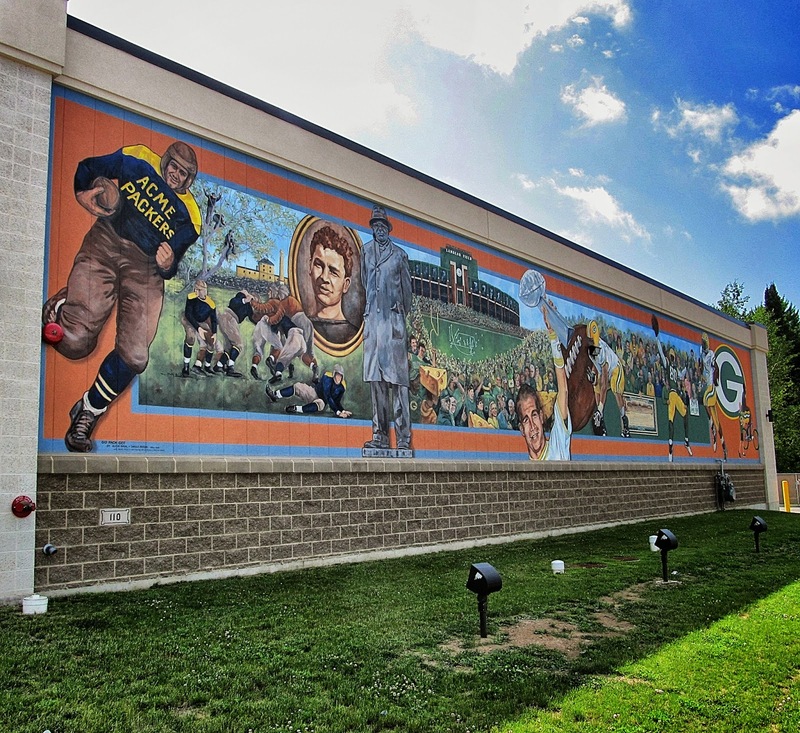 ...and on the side of that grocery store you'll find a wonderful Green Bay Packers mural. 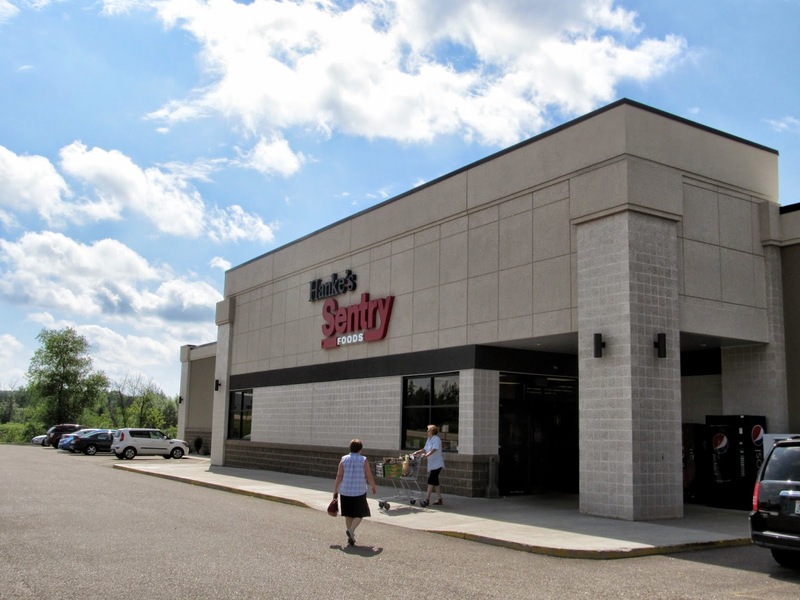 I noticed it as we were driving through town headed towards Nueske's, the great local meat market. There's a lot to take in there so I'll break it down into smaller sections. 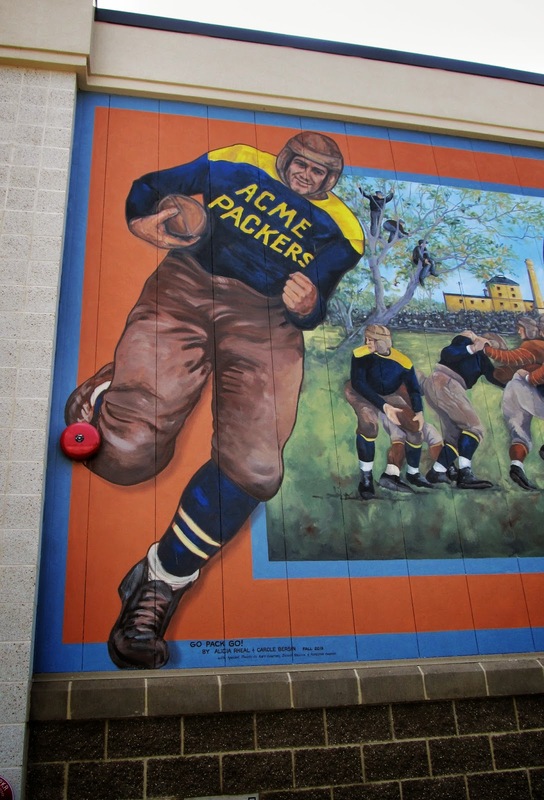 First we have Don Hutson in the original navy blue and gold jerseys which founder Curly Lambeau borrowed from his alma mater Notre Dame. 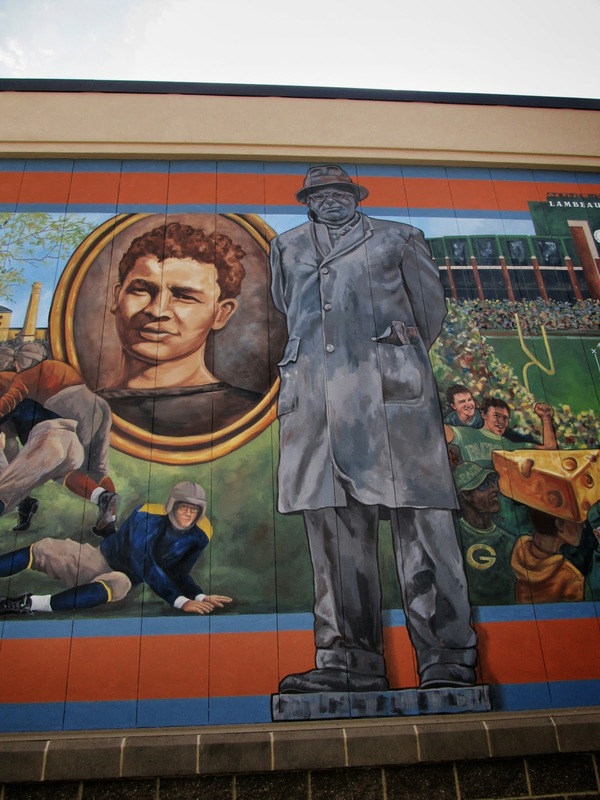 Next we have Curly Lambeau with his curly hair and the statue of Vince Lombardi this is in front of Lambeau Field. 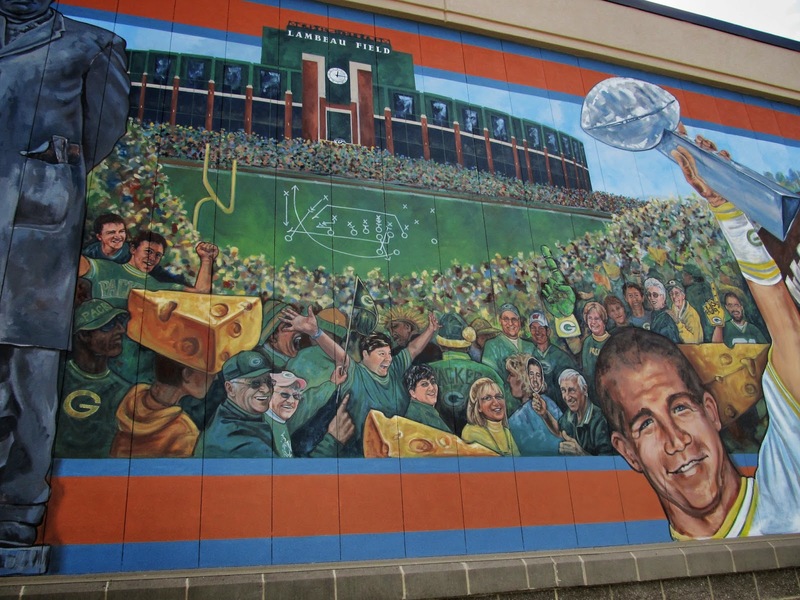 Cheeseheads and Jordy Nelson make an appearance. 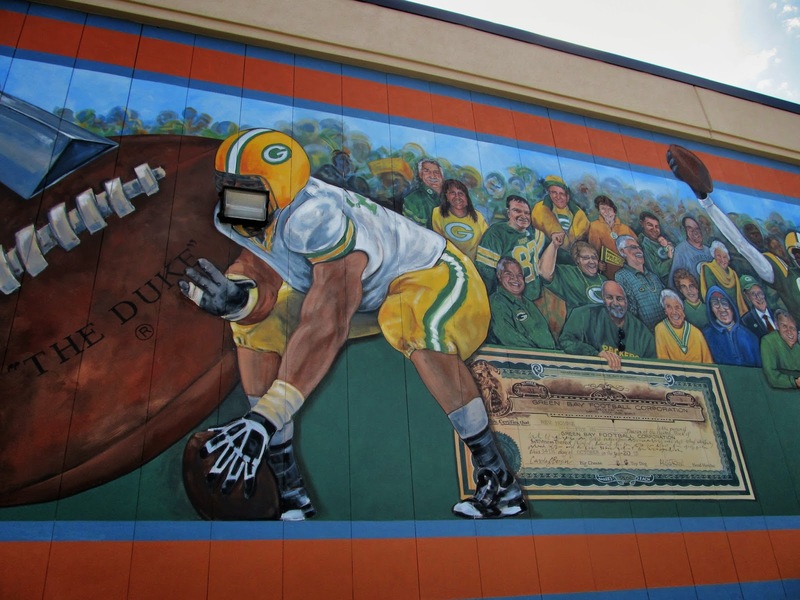 Next we have a Packers center with a strategically placed security light. 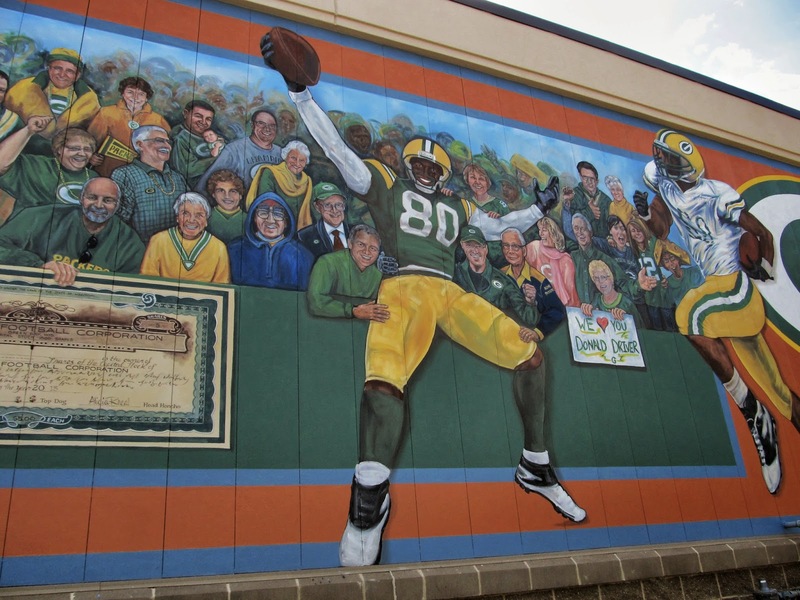 Next we have a giant sized Donald Driver doing the Lambeau Leap along with what I think is another Donald Driver wearing the away jersey. 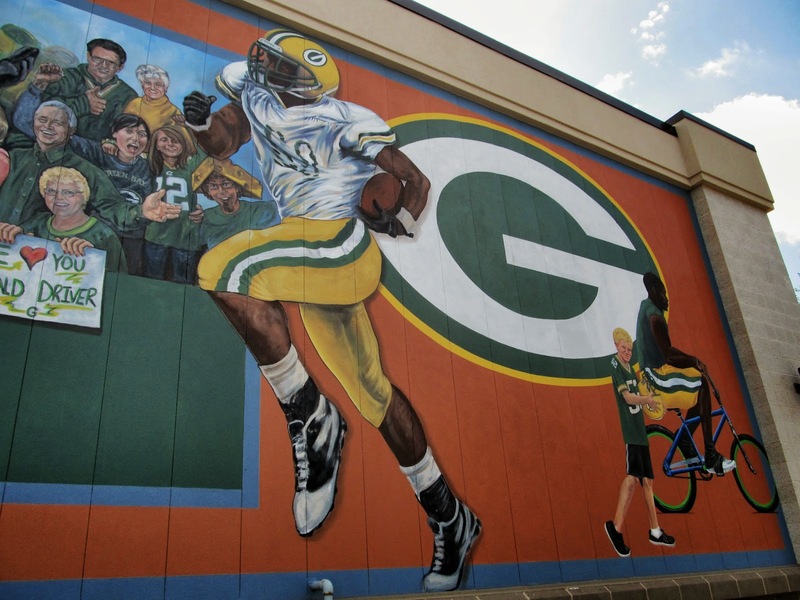 The last section highlights the long standing tradition of having Packers players ride kid's bicycles as they go back and forth between the training facilities and Lambeau Field. Here's a great collection of photos showing Packer greats borrowing mountain bikes through the years.